Santa Fe Watershed Association’s response to the recent Toys R Us ad mocking outdoor education. Please view the Toys R Us video first! After watching the recent Toys R Us ad mocking outdoor education, we at the Santa Fe Watershed Association were so infuriated that a toy company would imply that spending time in nature was boring that we decided to seek out the benefits of outdoor education. First, we mock a trip to a toy store and then highlight the benefits of educating students in the outdoors using stills from our My Water, My Watershed program that reaches over 1,000 students annually. We had a great deal of fun piecing this video together and hope that you enjoy watching this as much as we enjoyed working on it. 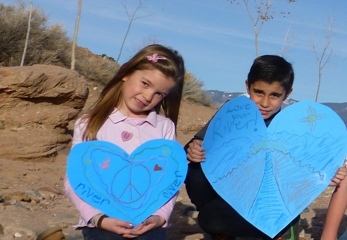 If you value the power of getting people outside, please support our small non-profit with a $5 donation at santafewatershed.org . Thank you for watching and please remember that no toys were harmed during the filming of this video.